The Showtime network is looking to order a miniseries titled "Secure And Hold: The Last Days Of Roger Ailes." On Tuesday the network said that it beat out other bidders for the rights to the project, which is being developed by Ailes biographer Gabriel Sherman and "Spotlight" director Tom McCarthy. The project was announced last fall, but it didn't have the backing of a network at the time. Now Showtime is on board, confirming on Tuesday that it has ordering scripts for the potential miniseries. The next step would be to greenlight the actual production of the series. Development of the miniseries was initially financed by Blumhouse, the movie production company led by Jason Blum. On Tuesday Blumhouse announced the formation of a TV studio. "Secure And Hold" is its first project. It dramatizes Ailes' attempts to hold onto his job after he was sued for sexual harassment by ex-anchor Gretchen Carlson last summer. 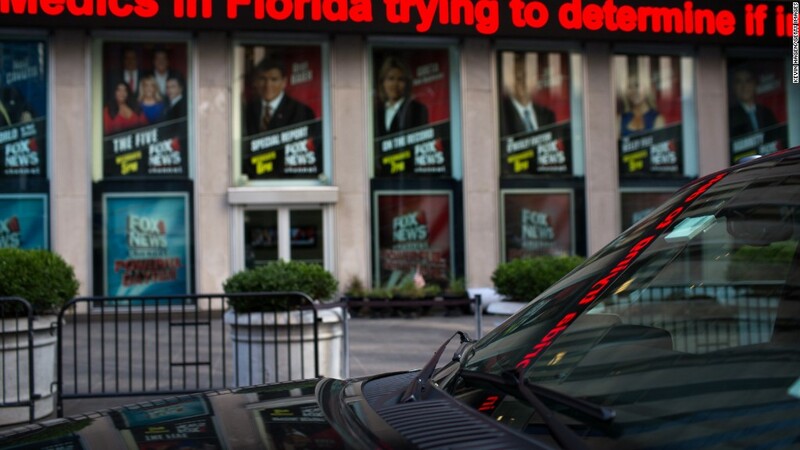 The suit triggered similar allegations from other current and former Fox News employees. He resigned under pressure two weeks after the lawsuit was filed. Since the potential miniseries is about the fall of the founding CEO of Fox News, there has been some intrigue about whether Fox's corporate rivals would pursue the project. Showtime is owned by the CBS Corporation. Sherman's book "The Loudest Voice in the Room" is serving as some of the source material for the project. Last fall, he named Anthony Hopkins and John Goodman as two possibilities for the role of Ailes. The casting process has not yet begun, however.